Many of us have used this excuse for years as a reason not to swim. I admit I was one of those women at one time, but something happened that pushed me past my usual excuses. My boys became the first ones in our family to learn how to swim the correct way, and they’re actually very good at it. I asked myself at times, if my sons enjoyed swimming and being in the water, would I really let my hang-ups about my hair stop me from doing something that is not only invigorating and relaxing, but could also save my life? Growing up, no one in my family could swim. But that did not stop my cousins and me from playing in the lakes or creeks or even the ocean every summer. I look back now and realize how dangerous that was, as we knew absolutely nothing about water safety. It is not uncommon for African-American families to not know how to swim and there are a lot of reasons why – some are cultural, some socioeconomic and some practical. A lot of people have shared with me how they learned to swim. Their stories often involved somebody pushing them into a pool and they just had to figure out how not to drown. When my two sons were old enough, I decided I wasn’t going to toss them into the pool and hope for the best. I started my oldest son swimming when he was two or three. He took swim lessons every summer and even though I couldn’t swim, I was critiquing. Later, my son joined a competitive swim team and we eventually heard about a swim program at the YMCA. They had a year-round swim team and the YMCA seemed to align well with some of our core beliefs and values. Once he became an avid swimmer and my younger son joined him, I decided to give swimming a try. Now, I could get in the water. I could float. I could do a mean doggie paddle, but I could not swim a lap or anything close to that. But I’m very adventurous and like to accomplish new things I know I can’t do, and I knew I couldn’t swim. I had even fantasized thought about doing a triathlon before, but the swimming part terrified me. But I knew that if my boys could swim so well, it was obvious the talent must have come from me and I just needed to tap into it. So in December 2015, I set a goal to complete my first sprint triathlon in May 2016. I connected with a coach at the YMCA who had worked with my boys. He helped me learn the basics of swimming and then the finer points that would help me in my triathlon. When it came time for me to compete, I was amazed at how well I swam. It was a wonderful experience that I’ll never forget. Today, I still swim at the YMCA. The Downtown Durham YMCA has a swim class that’s awesome and it’s free. I go Wednesday and Friday mornings at 6 am. We have a swim coach and it actually feels like we are on a swim team. This has allowed me to further develop my swimming skills. I think it’s important that kids learn how to swim at an early age because most kids are attracted to the water. Kids haven’t changed since I was a youngster, taking the same risks I took, playing in the water even though I couldn’t swim. Beyond being a potentially life-saving skill, swimming is one of the healthiest forms of exercise. It’s a good tool to have in your tool belt, especially as you get older when your joints may demand a little less pounding. 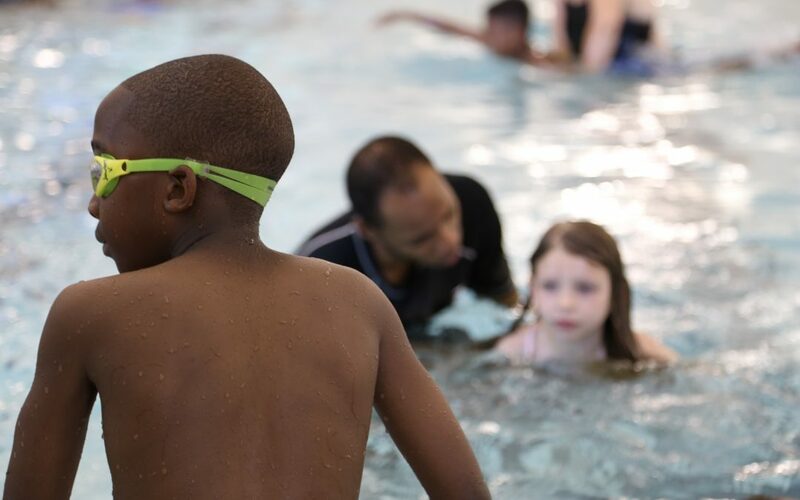 That’s why I’m thrilled that the YMCA and Blue Cross and Blue Shield of North Carolina have come together to offer swimming lessons for kids who otherwise may not have the opportunity to learn how to be safe in the water. 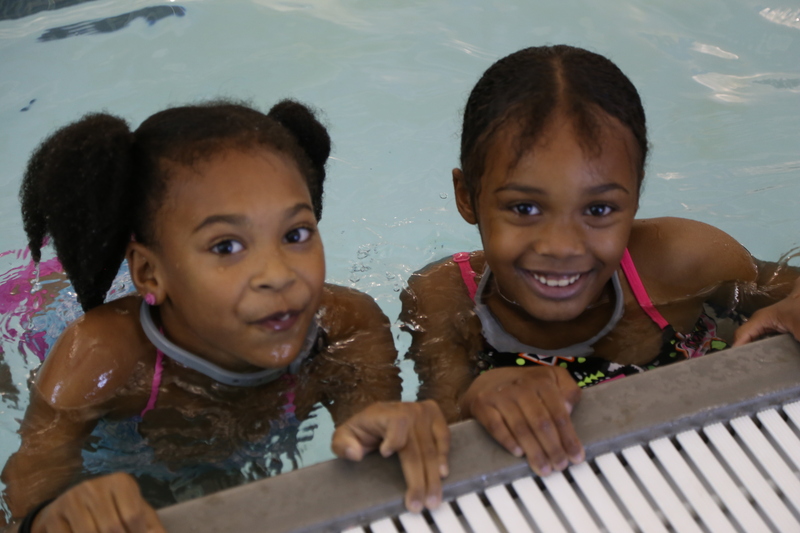 The Learn to Swim program will be available in eight North Carolina counties, targeting children from Title 1 schools who would otherwise have less access to water safety courses. Parents who can’t swim often end up raising children who can’t swim. We need to break that cycle by teaching a new generation of kids how to be safe in the water and how to enjoy themselves with a great way to stay fit. I urge parents to check with their local YMCAs to learn more about their swimming programs – for kids and parents alike.